Fine gold is factory refined gold, in is purest form, produced industrially and minted in recognizable format. The best examples of this are the Canadian Gold Maple Leaf coins, Credit Swiss bars, and similar pure gold bullion. 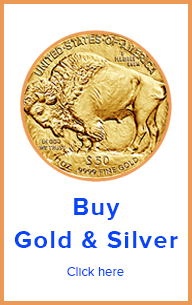 Other examples of fine gold are the Krugerrand, American Eagle, Mexican Gold Peso and Sovereign. These type of coins are not pure gold, but are still considered fine gold. For the sake of making them good for circulation, these coins are alloyed with copper (Krugerrand, Sovereign), or copper and silver (American Gold Eagle, Mexican Gold Peso). This makes them tougher. Technically speaking, these type of gold coins are not “fine gold”, however, they are alloyed and minted to a super high standard, and only the fine gold content is what counts, that that here considered fine gold. A once ounce troy gold Krugerrand weighs 34 grams, but has a fine gold content of 31.103 grams, which is equal to one ounce troy. Fineness refers to how pure a precious metal is. For example, a Canadian Gold Maple Leaf coin is .9999 fine gold. A Canadian Silver Maple Leaf coin is .999 fine silver. Refined gold is gold that has been separated from any other metals or impurities. It is not an alloy. Anything metal that is not pure, is an alloy. Thus, for example, 18K gold is an alloy that is 18 parts out 24 parts pure. Click here for more info. Refining gold is scientific process. It involves chemistry and metallurgy. Gold refining is outside my expertise, but I know enough about it. For the purpose of this article, it suffices to say that gold can by refined at factory or by artisans. Factory refined gold is gold that has been professionally refined to a purity of at least 995 parts per 1000. That is the old “good delivery” standard for the LBMA (London Bullion Market Association). Modern factory refined gold is at least 999 parts per 1000 pure. In fact, as per today’s standards, pure gold bullion, such as Canadian Gold Maple Leafs, Credit Swiss and similar, are 9,999 parts per 10,000 pure. Large refiners, such as NTR and PAMP, have very specialized equipment and personnel. In addition, they have the critical mass to be able to refine large batches of gold. 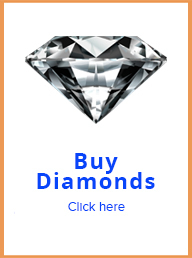 Their product is always assayed and is minted with an assay certificate number. Thus, it is guaranteed to be fine gold. Factory refined gold offers a super high degree of certainty. Most gold bars come with the assay certificate number and fineness minted in them. In addition, most of them come sealed in a blister type of container that doubles as an assay certificate. The name of the assayer, with his signature, and the assay certificate number are printed in the container. With factory refined gold, people feel very sure about what they are getting. Artisan Refined Gold is gold that has been refined outside of a formal industrial, scientific setting. This does not necessarily mean that there is something wrong with the fineness of this type of refined gold. It is that there are a lot of unknowns. Maybe artisan refined gold is good enough for manufacturing jewelry, but not for bullion or manufacturing electronics. 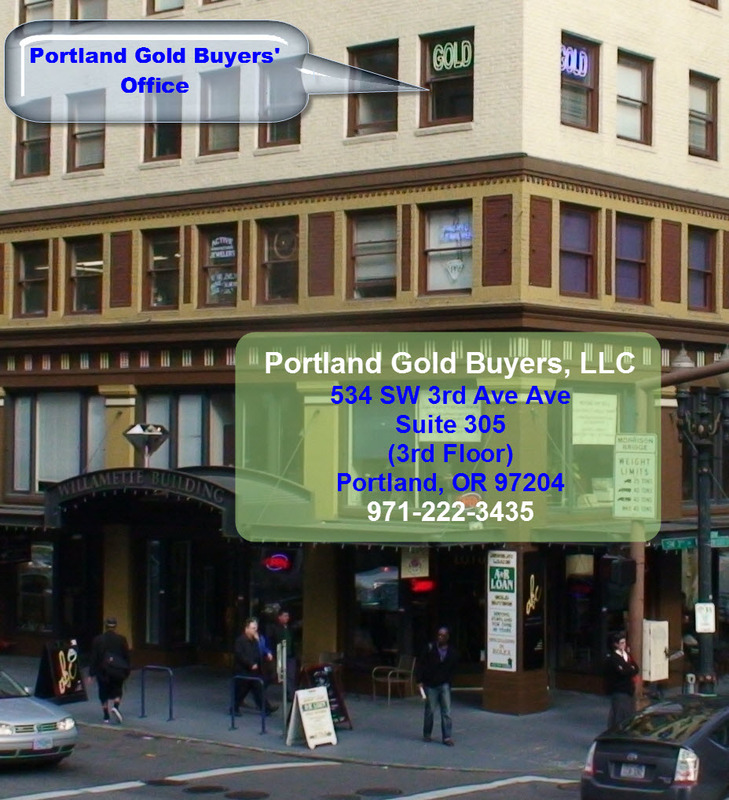 Artisan refined gold offers a low degree of certainty. Artisan refined gold is produced in small scale. At this type of volumes, it is uneconomical to employ specialized personnel, equipment. It does not even make financial sense to hire an assayer to certify the fineness. Artisan refined gold can even be molded into a bar. With artisan refined gold, people feel a lot less sure about what they are getting. Artisan refined gold is usually processed using aqua regia. Most artisan refined gold is produced by dissolving gold alloys with Aqua Regia. Here is a very brief description of the process. Precise measuring and timing is critical for success. Dangerous fumes are created. Acid contact creates serious, hard to heal, chemical burns. 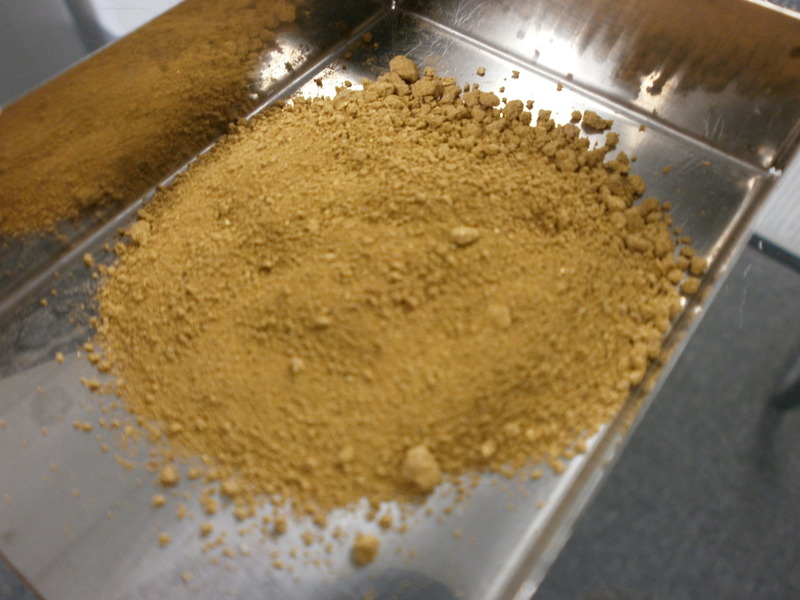 By heat and evaporation, the gold precipitate is dried. This is high karat gold that is of a yellow, orange, dull tone. It does not reflect light well because it is so highly porous. See image 1. Gold properly refined with aqua regia is very close to 24K. However, depending on several factors, such as expertise, chemicals used, etc, often the result is less than 24K, but still very pure. 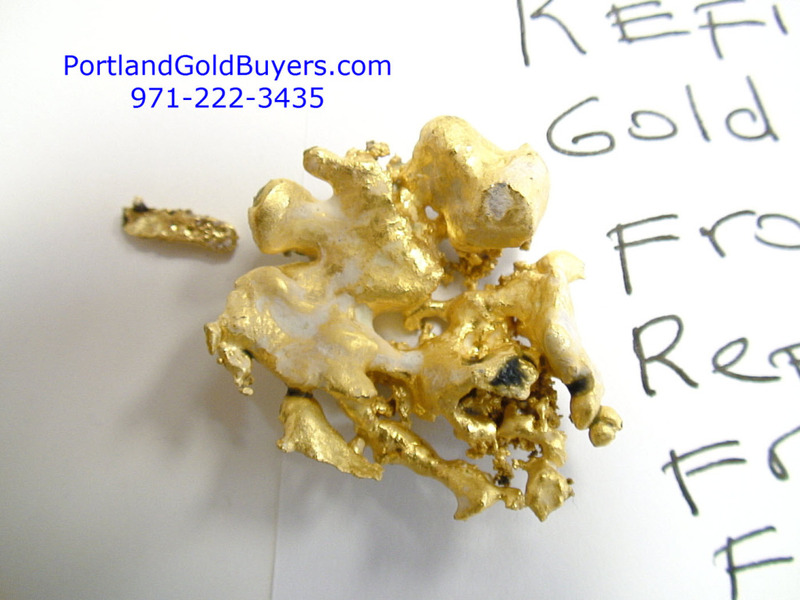 Even in the best of cases, gold refined with this method most often contains trace elements. For practical purposes, it can be said that properly artisan refined gold is 24K, however, it is usually a little less when measured scientifically. Precious metals are all about certainty. The more certain the fineness the better. Right? If you would have to decide, between buying a bar of artisan refined gold, and bar of factory refined gold, which one would you choose?